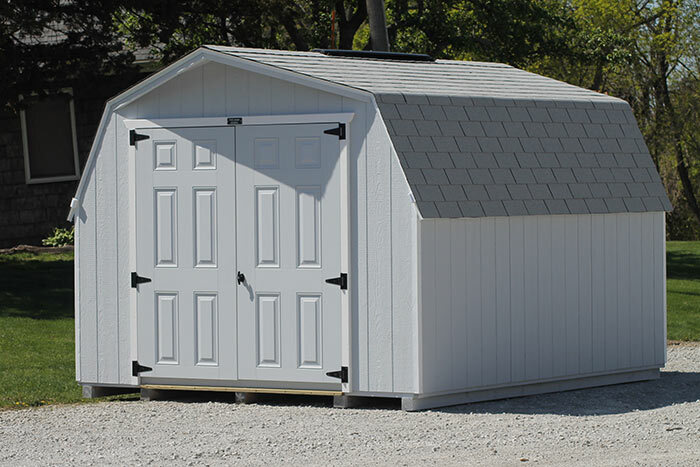 The Mini Barn gives your belongings security and keeps things handy in this beautifully crafted storage shed while adding a touch of country look to your backyard. Its a great way to have your belongings organized and ready for the getting! There are two siding options we offer! 4′ side walls. 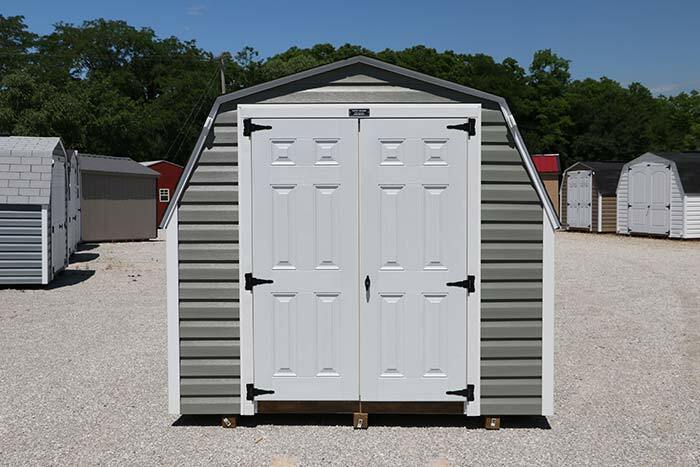 Comes standard with a 5′ ridge vent and double swinging doors. Door opening is 54″W x 71″H on 8″ wide and 70″W x 76″H on 10″ and 12″ wide barns. 4′ side walls. Comes standard with 1 window and double swinging doors. Door opening is 54″W x 71″H on 8″ wide and 70″W x 76″H on 10″ and 12″ wide barns.